Need to settle an argument about tattooing as art? Show a few pictures of Bugs' work to your mother. 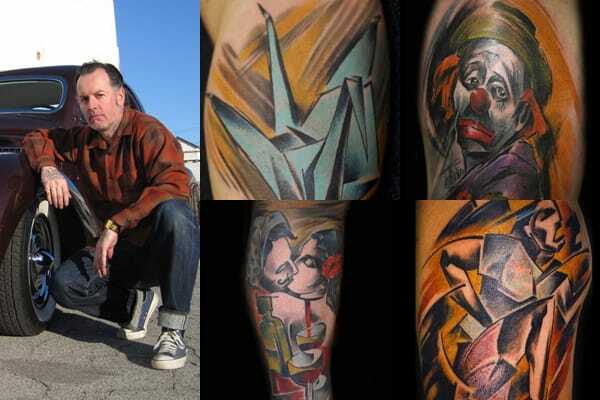 The Parisian-born, L.A.-based artist creates tattoos with painterly strokes and an abstract/cubist style.